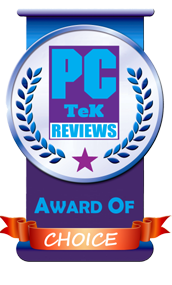 23 Nov, 2015 Rakesh Sharma Reviews . 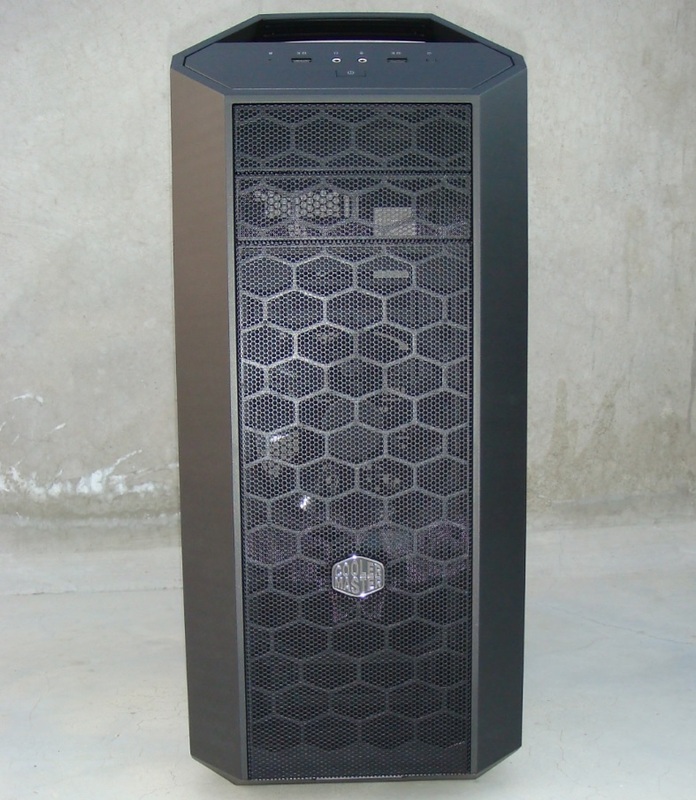 At Computex 2015, Cooler Master presented their new PC case product line with flexible FreeForm™ Modular System, the MASTERCASE 5 and MASTERCASE Pro 5, the world’s first mid-sized modular towers with exterior expandability, made possible with separate accessories allowing user to upgrade the case according to their taste or needs. 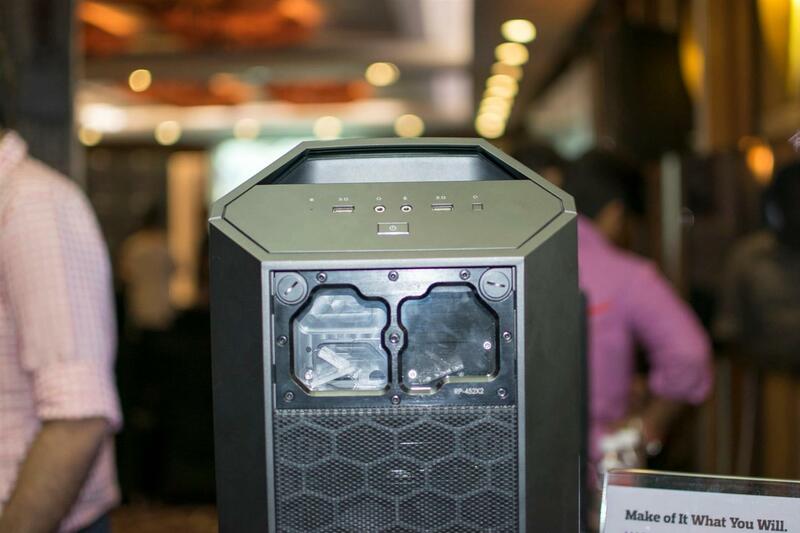 In September 2015, Cooler Master INDIA, invited few Indian Makers with their builds at the launch of the MASTERCASE 5 and MASTERCASE Pro 5 Case in India. 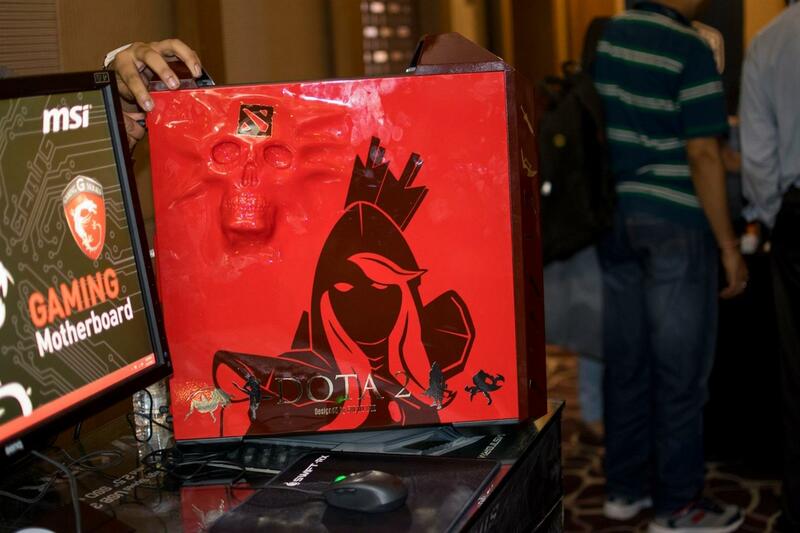 I was also the lucky one and got the chance to have a first look at the MASTERCASE 5 and MASTERCASE Pro 5 Case. 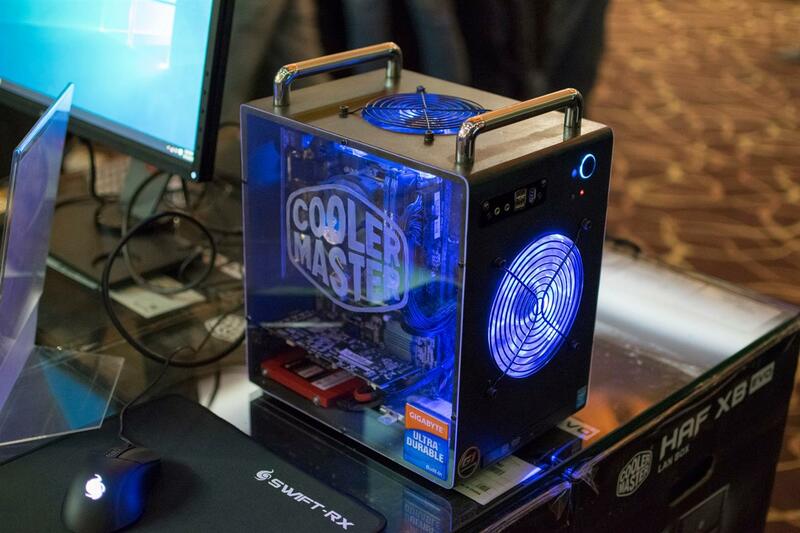 Sharing few builds showcased at the Cooler Master INDIA Maker Meets. 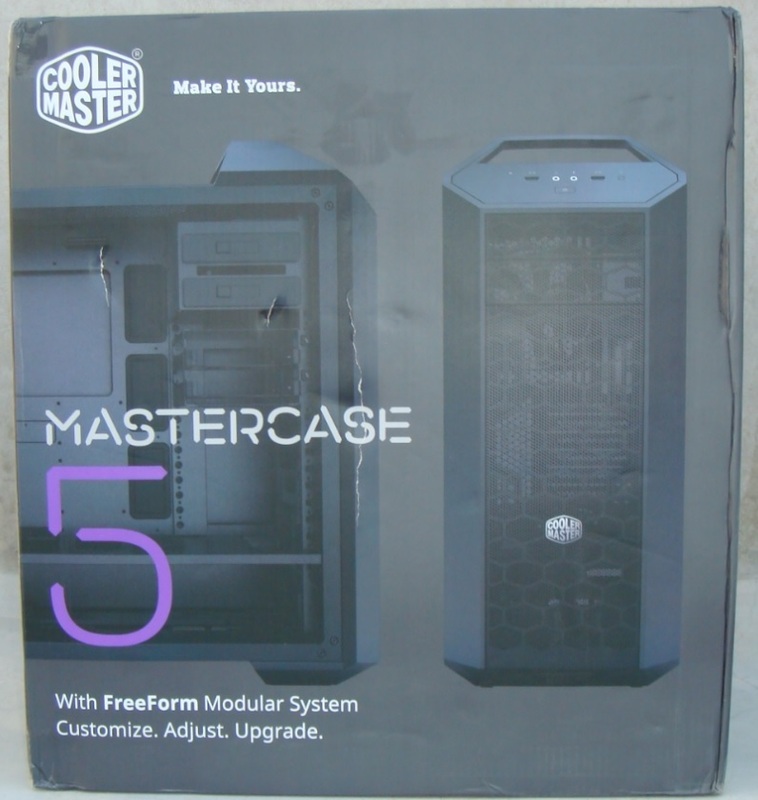 And today we are going to take a close look at the Cooler Master MASTERCASE 5 a Mid-Tower Case with FreeForm Modular System. 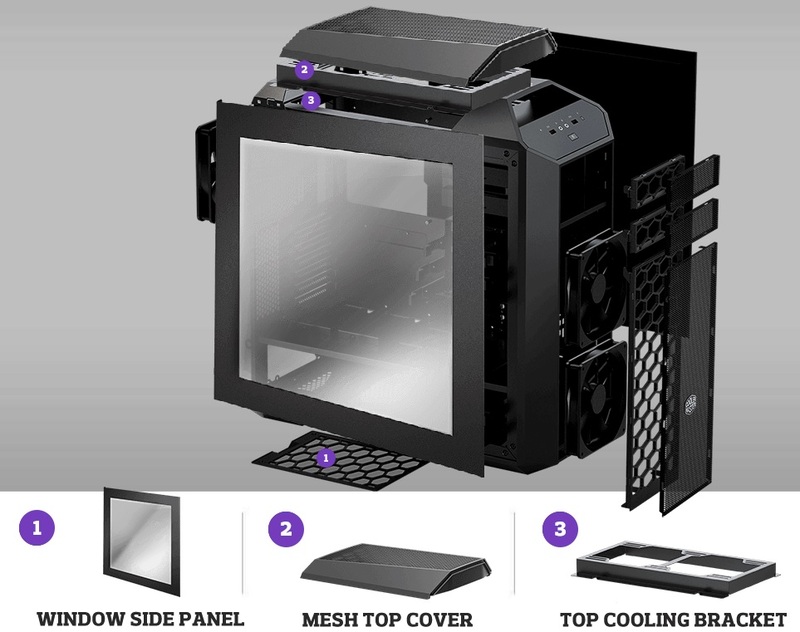 Cooler Master first modular case, allowing user to change the exterior look or aesthetics of the case and is accomplished with lineup of parts which users can buy as well as offering unparalleled flexibility to re-configure the case interior. At a price tag of Rs. 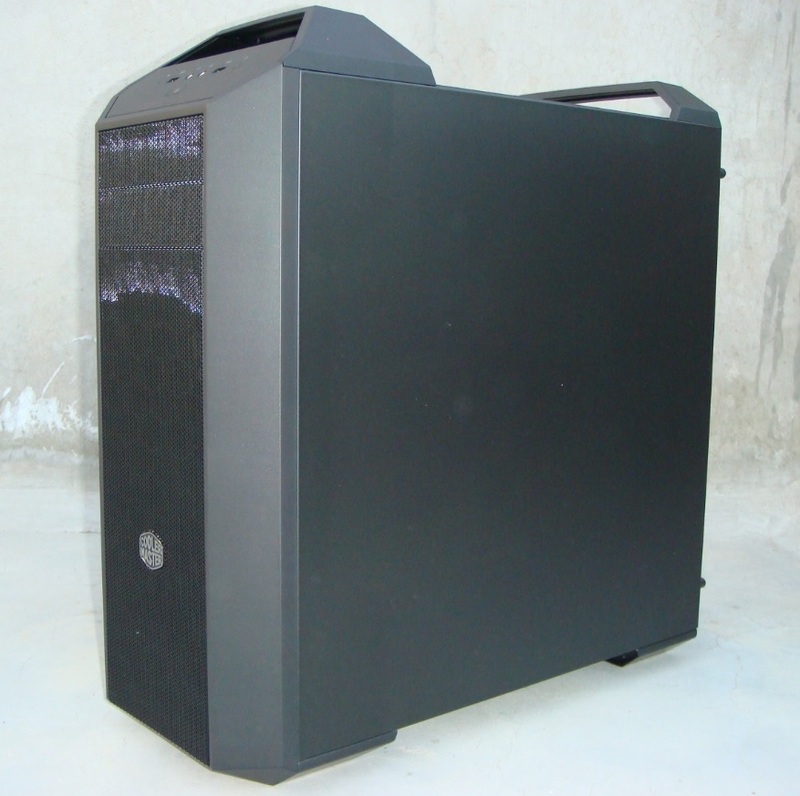 9.9K Cooler Master MASTERCASE 5 support ATX, Micro-ATX, and Mini-ITX motherboards offers lot of storage space with HDD Cage and SDD Pockets, and along with AIO and custom water-cooling solution support. 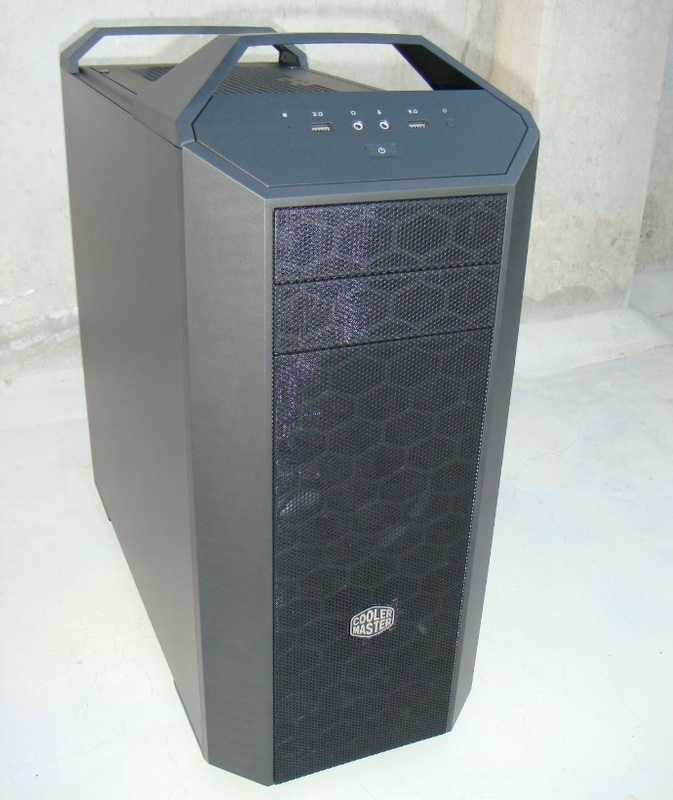 Now let’s see what COOLER MASTER MASTERCASE 5 Case have for us. 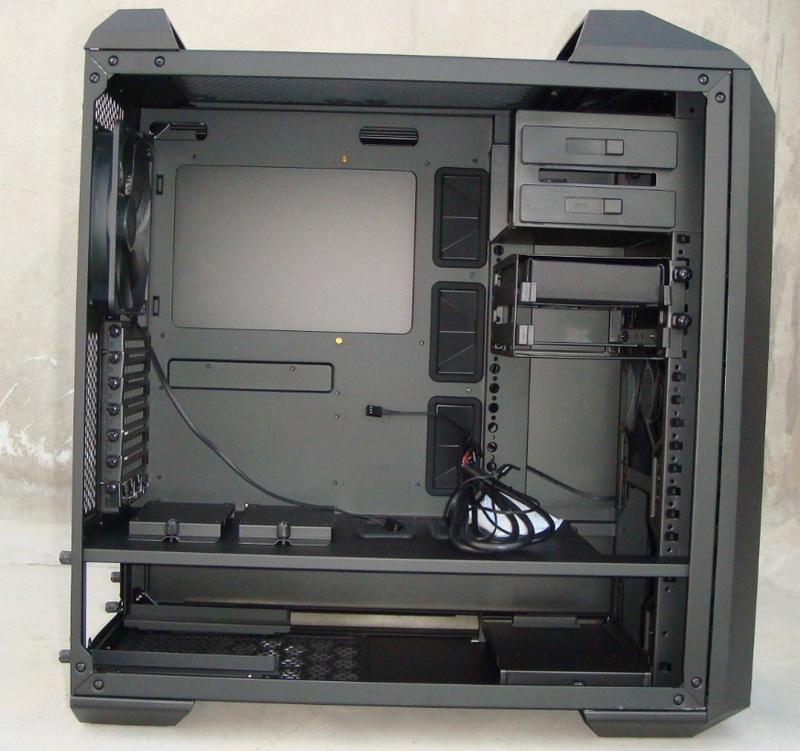 FreeForm™ Modular System - We want you to have absolute control over how your case looks and functions. 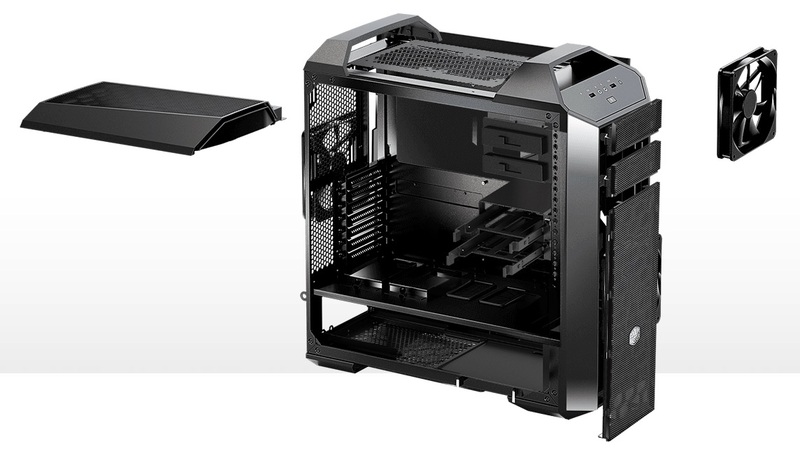 The FreeForm™ Modular System of the MasterCase 5 lets you adjust the exterior structure and aesthetic via a range of replacement panels and doors. 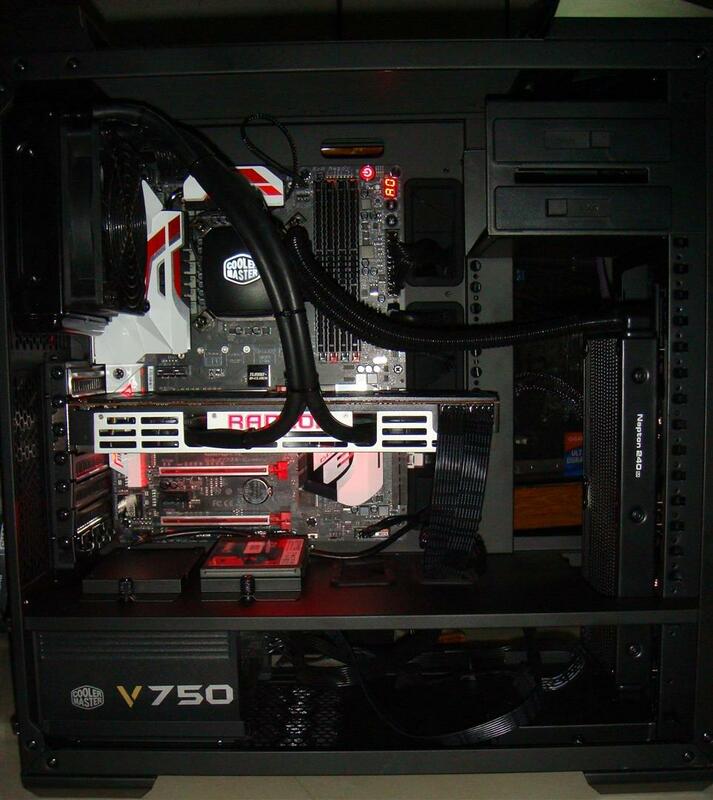 Each choice changes the look and feel of the case, but also the flexibility of the interior layout. 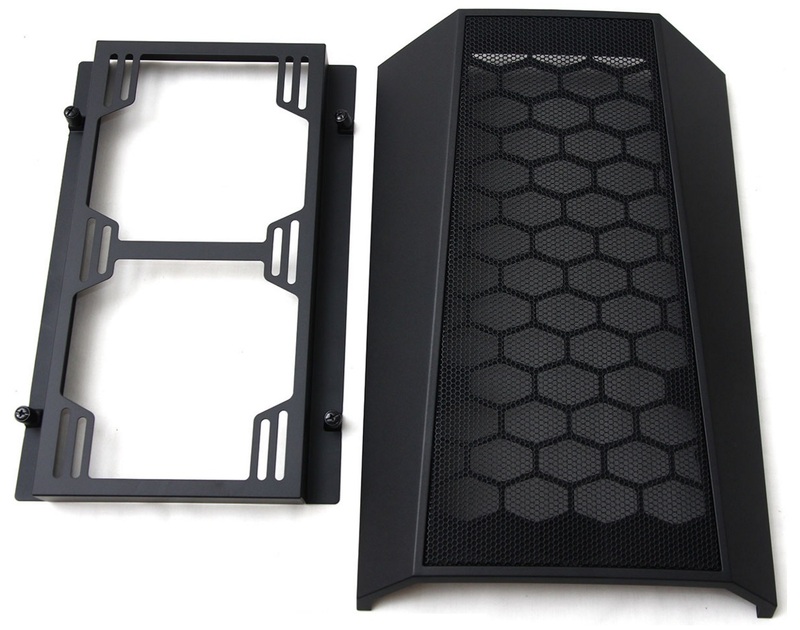 CUSTOMIZE WITH EXTERNAL MODULARITY - Easily customize your case by adding a top cover and water bracket for a new look along with liquid cooling radiator support, freeing up space inside the case. 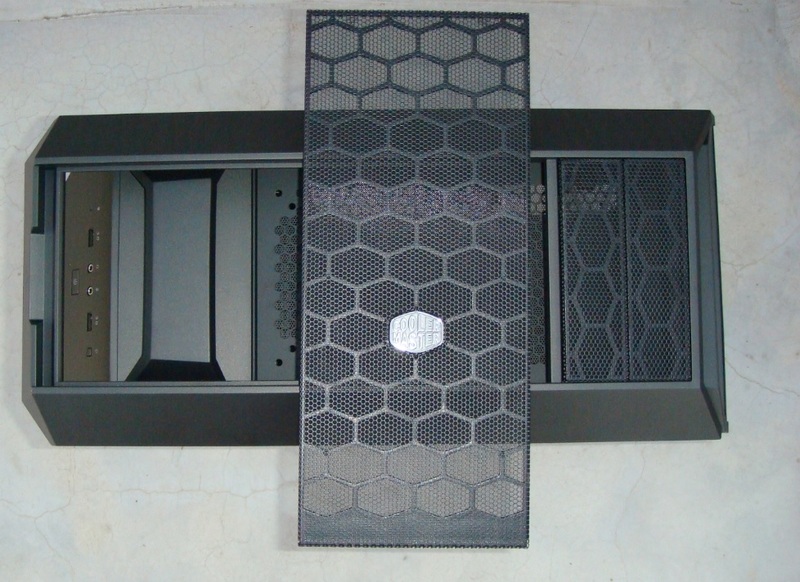 And if you want to show off your system, a window side panel is also available. 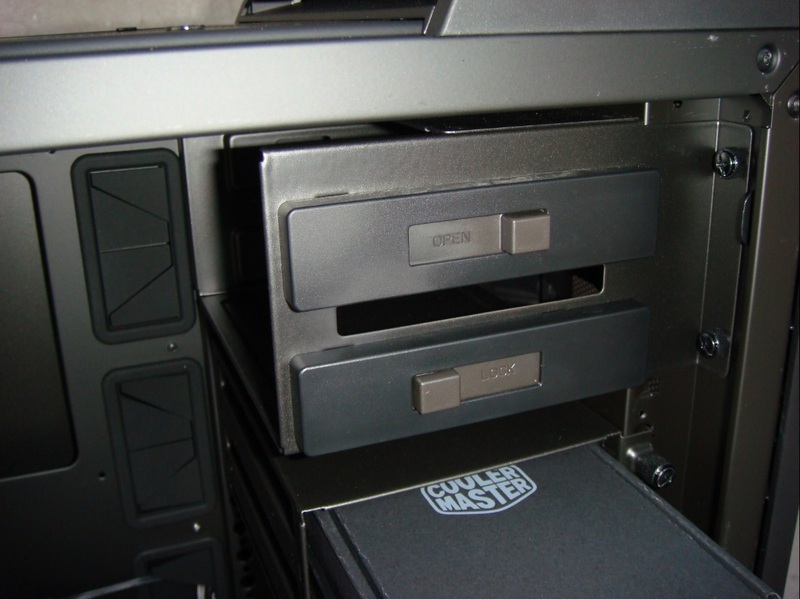 These options are included in MasterCase Pro 5 version or available separately. ADJUST INTERNAL LAYOUT CLIP-AND-CLICK PANEL - But this isn't just about aesthetics. Each decision opens new possibilities. 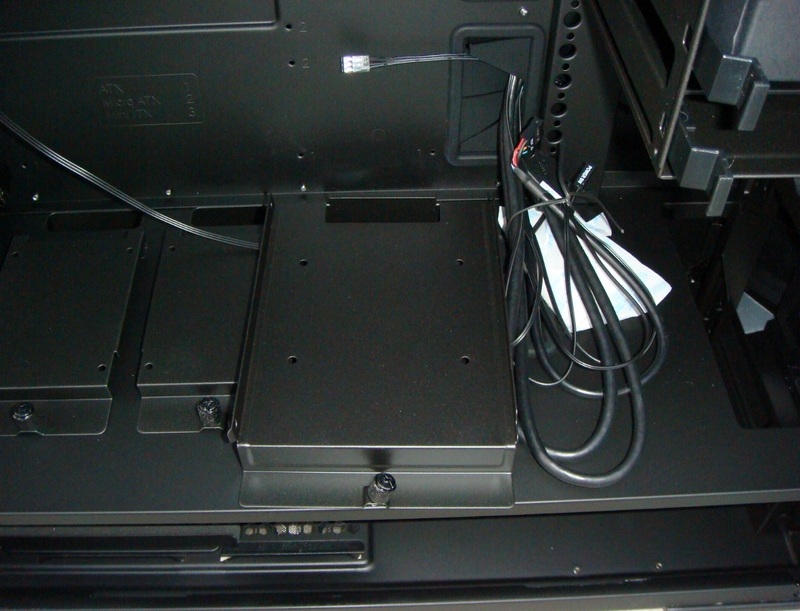 Leveraging our unique clip-and-click panel, FreeForm lets users vertically adjust or entirely remove your optical disk drive (ODD) and HDD via sliding locks so intuitive you'll play with your configurations just for fun. Well, some people will. 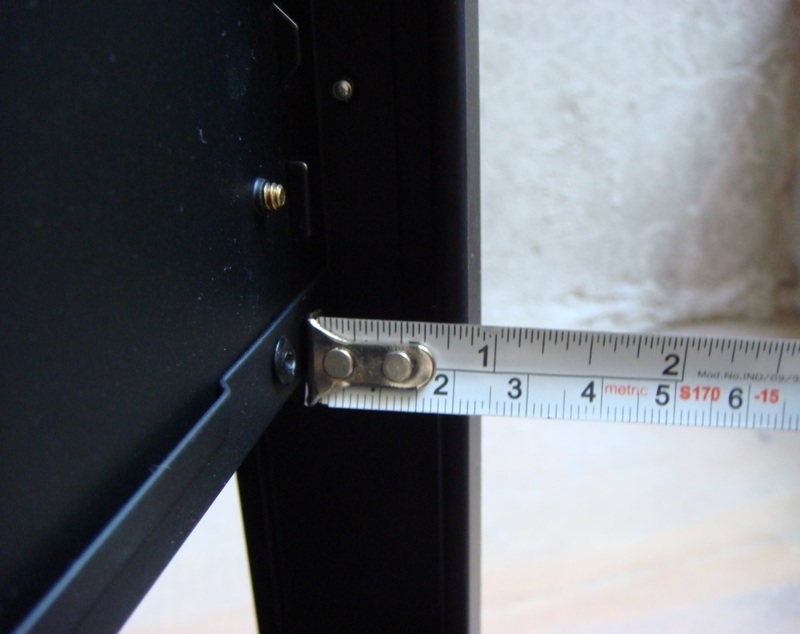 Just click-in the cages, and adjust the height to suit your needs. 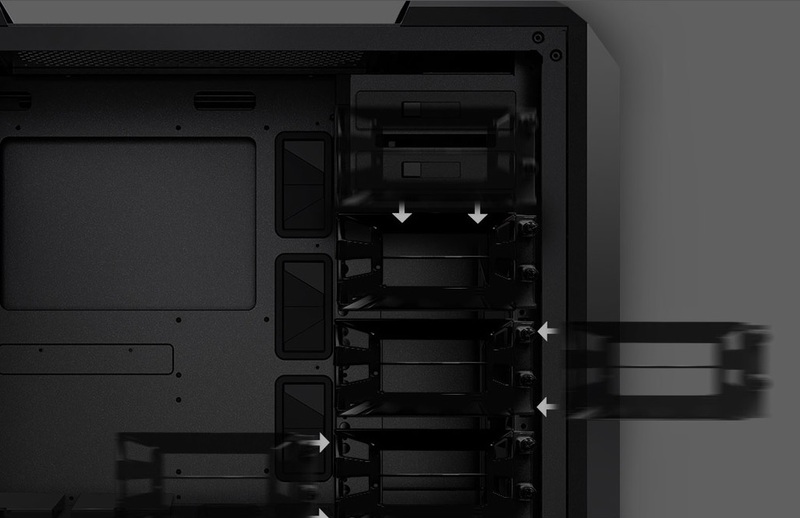 Position them at the top to allow room for up to three extra-long graphics cards, or retain only the bottom positioned cages to add a front-mounted radiator for even more cooling options. 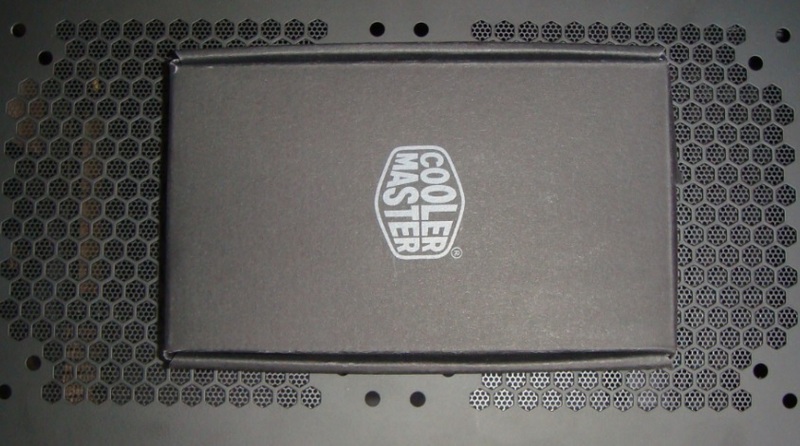 SLIP-AND-CLIP POCKETS - The first Cooler Master case to incorporate two easy to install slip-and-clip solid-state drive pockets (2.5") with four easy mounting positions. 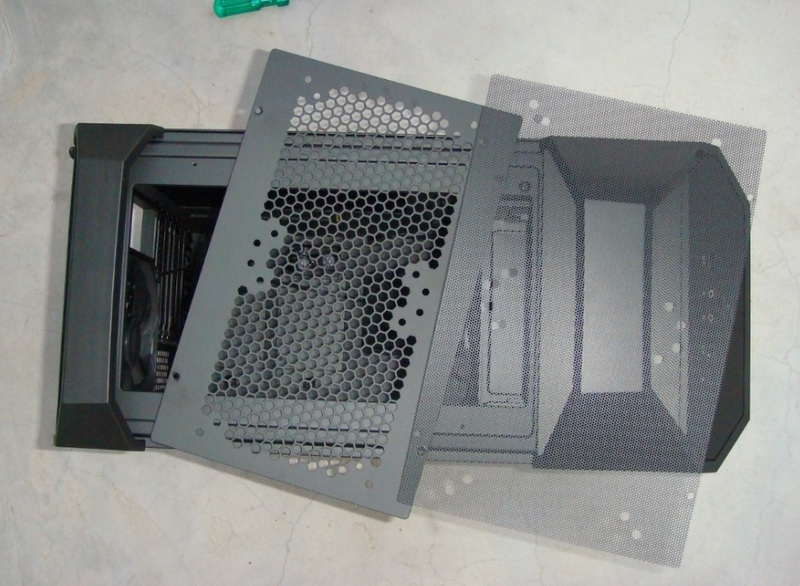 Showcase them on the partition panel or hide them behind the motherboard tray for a cleaner look. 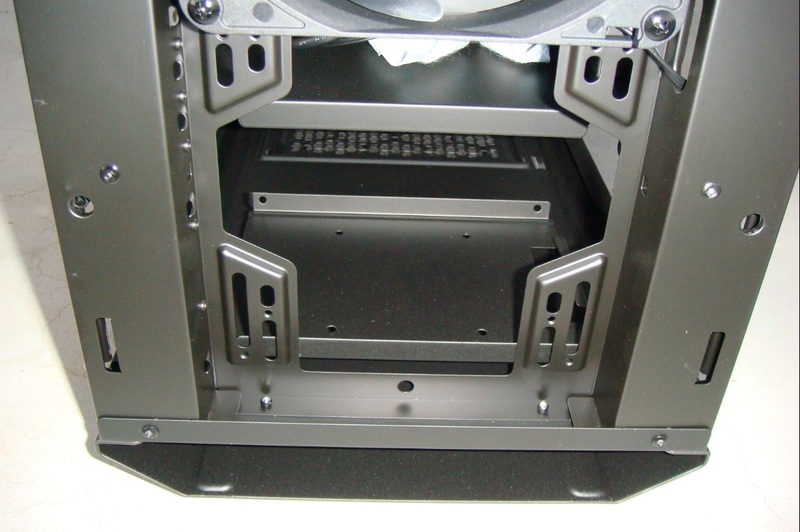 UNMATCHED VENTILATION - FreeForm enables the option to install three front-mounted 140mm fans and a 280mm radiator for unmatchable ventilation due to a unique facility to horizontally shift the bottom-mounted hard disk drives. 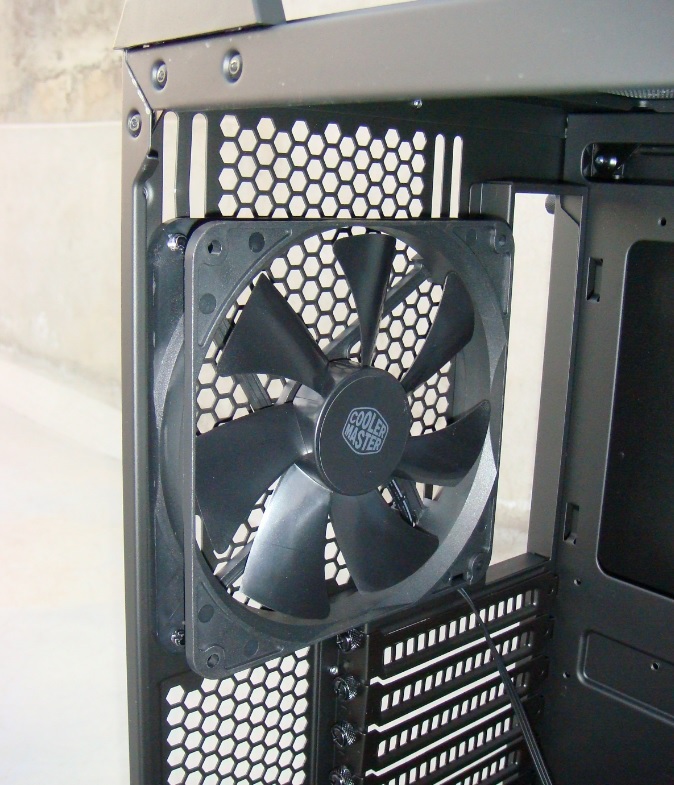 There's also support for up to six 140mm fans through the case, unique for a mid-sized tower. 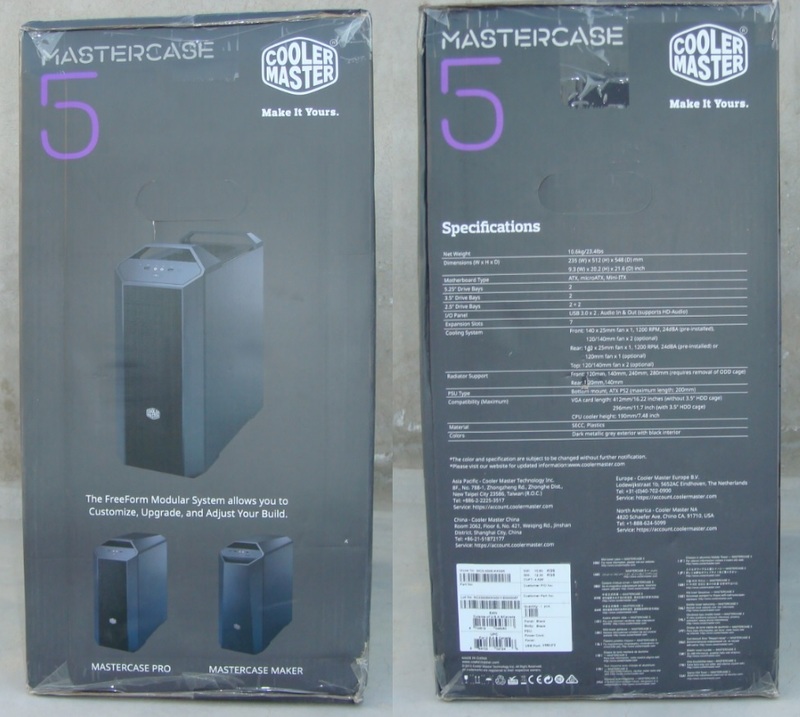 A big dark-gray box packaging with Cooler Master “Make It Yours.” logo along with product images and few paragraph describing features outside. 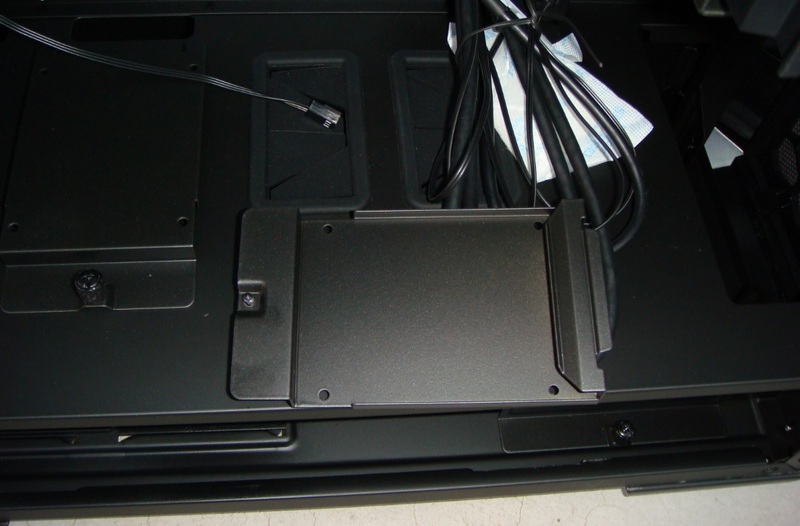 Inside, two large Styrofoam blocks protects the case. 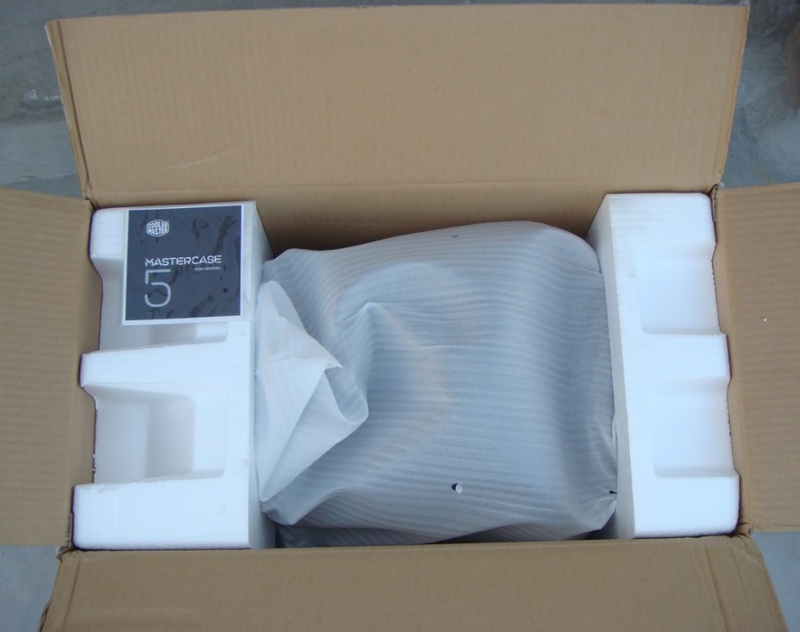 Case is covered with plastic-foam bag. 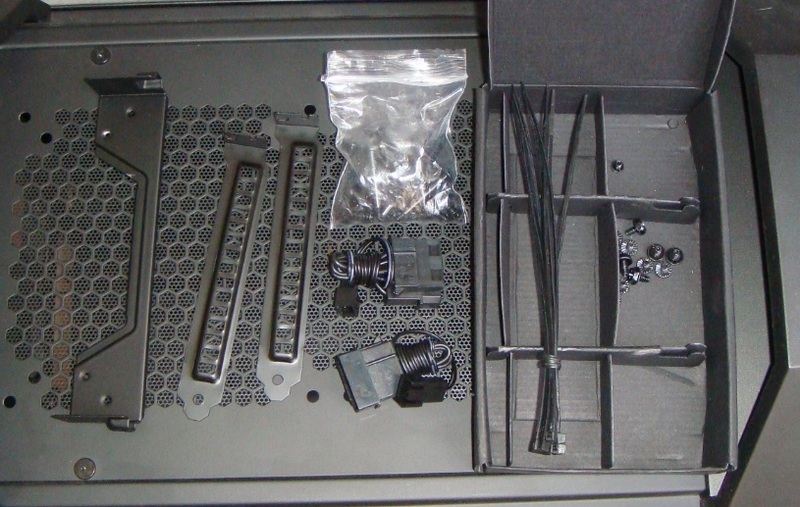 Guide and accessories included inside the case. 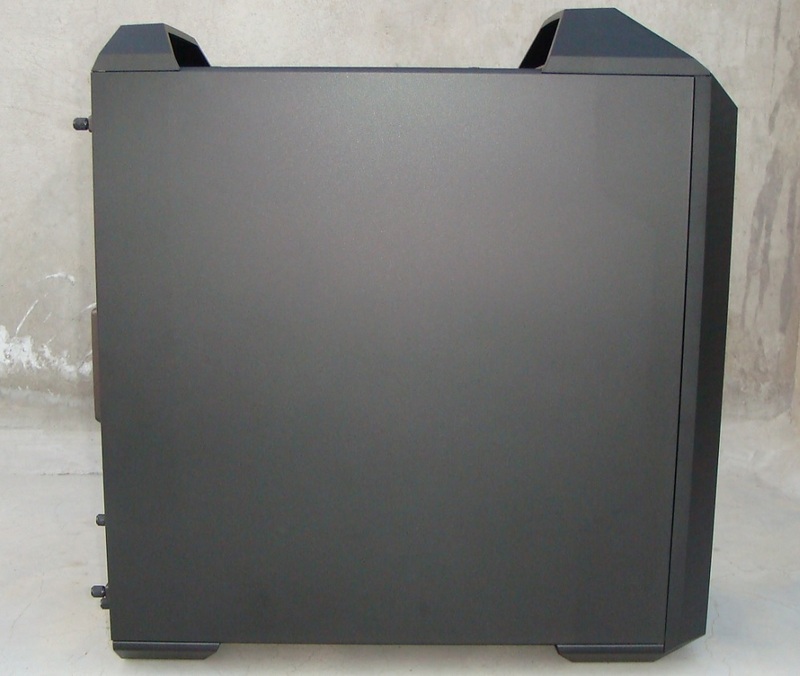 Cooler Master MASTERCASE 5 has a distinct angular edges theme, using a combination of black powder coated steel and same colour plastic construction. 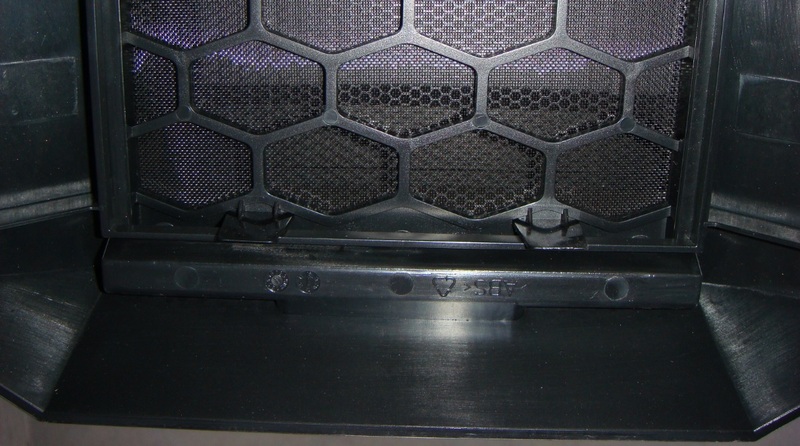 At the top we have two rigid handles and in between a big grill with air filter and different type of fan support (2 x 120mm or 2 x 140mm) for better air flow. 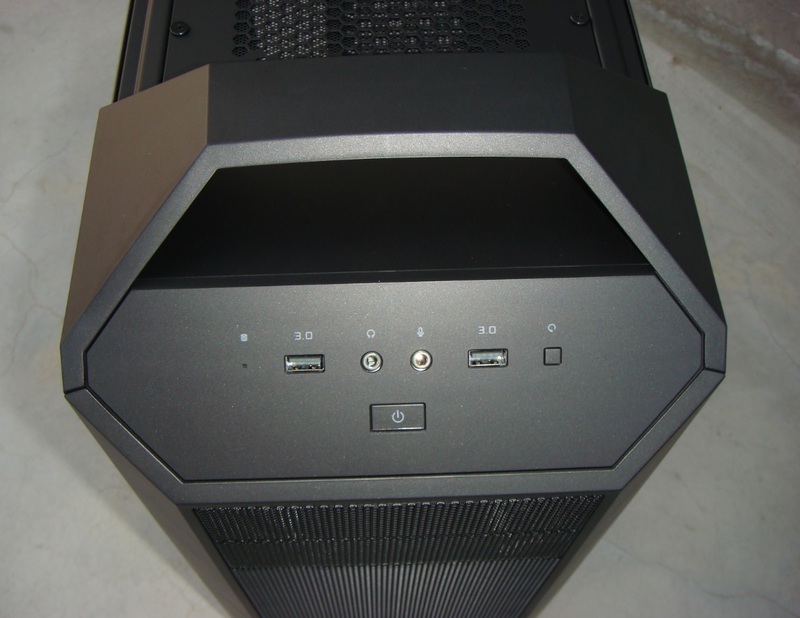 On the top-front, we find the front panel Power and Reset buttons with activity LEDs alongside two USB 3.0 ports, headphone and microphone jacks. 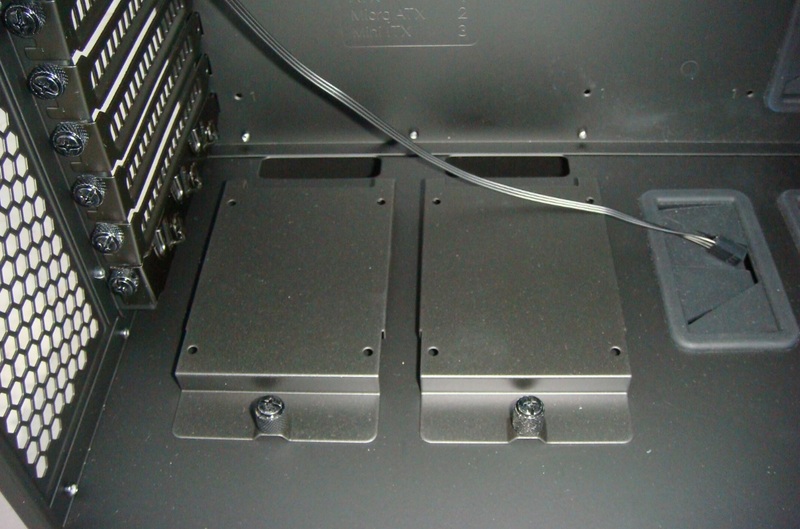 A top cooling bracket accessory adds the capability of mounting 240 or 280 cooling radiators here. 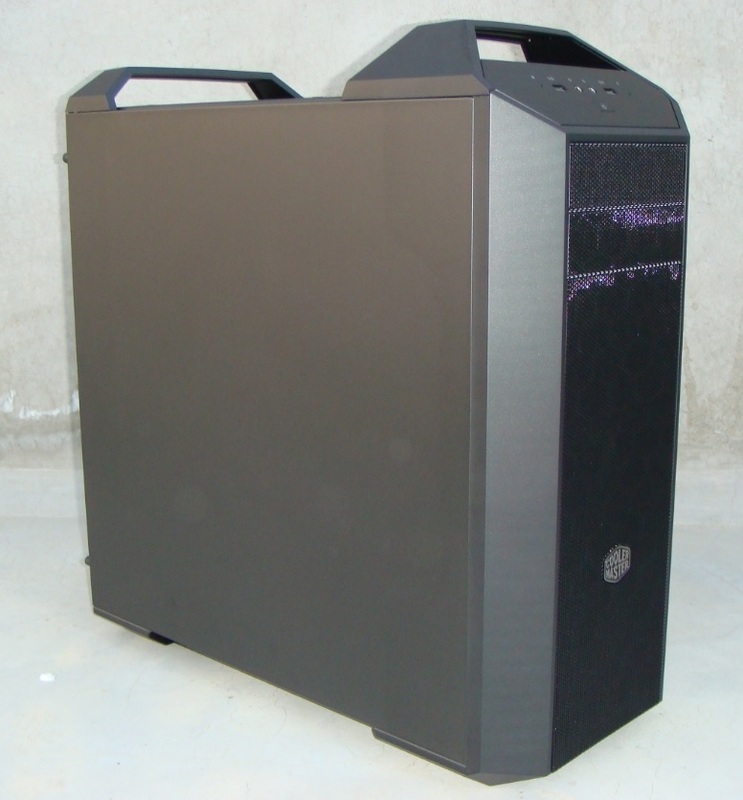 The front of the case features two 5.25″ drive bays covered with full black metal mess fitted with removable dust filter inside. 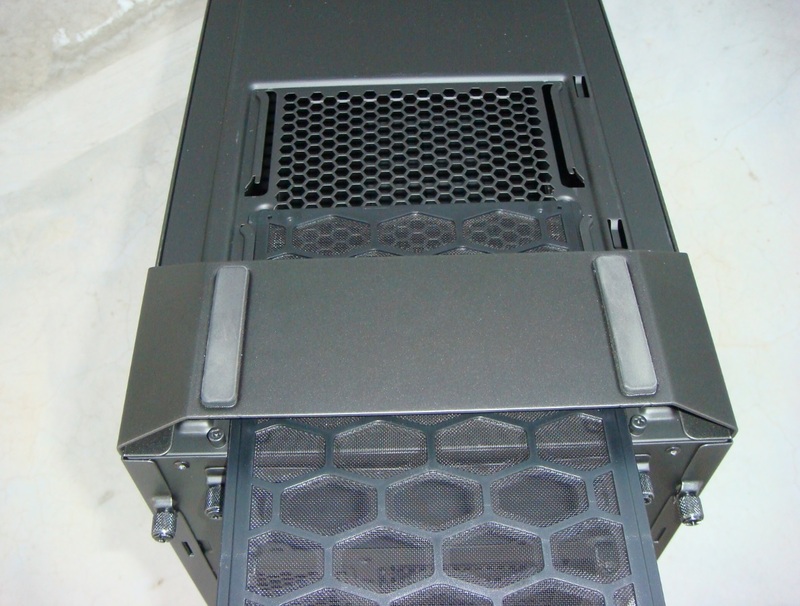 Removing the front cover, reviles a stock 140mm fan and mounting holes for 2 x 120mm or 2 x 140mm fans or 240 or 280mm radiator support. 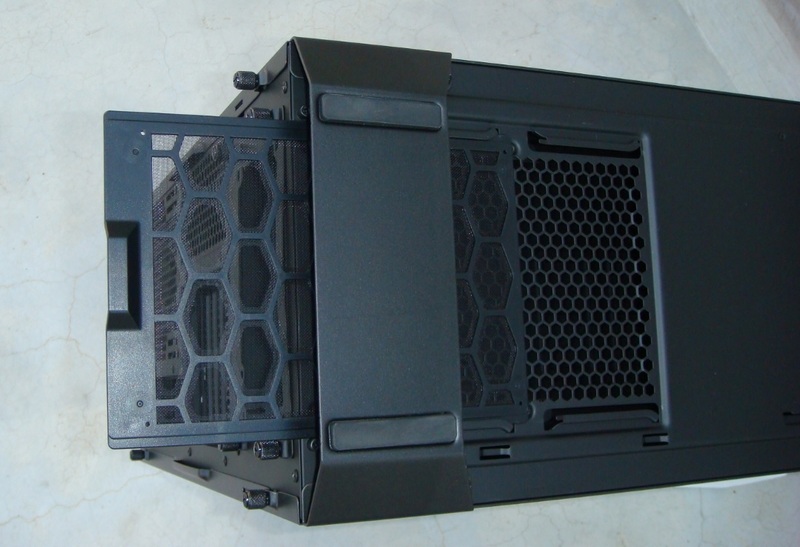 Moving toward bottom of the case, we find large base with rubber pads and a large air intake vent with removable dust filter for PSU. 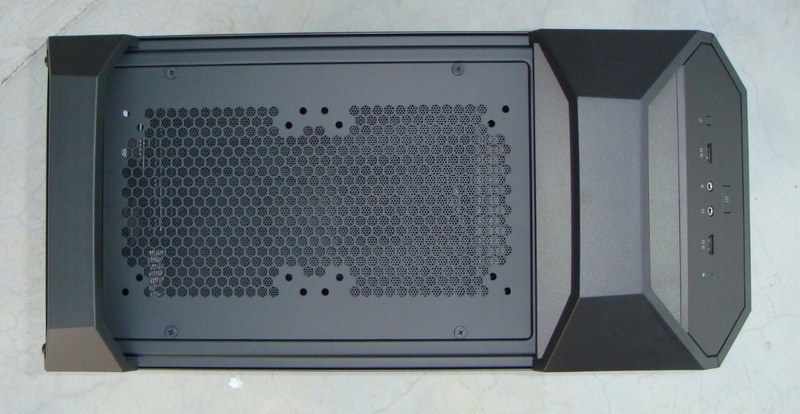 On the back side there is an exhaust vent with one 140mm fan pre-installed alongside the I/O panel. 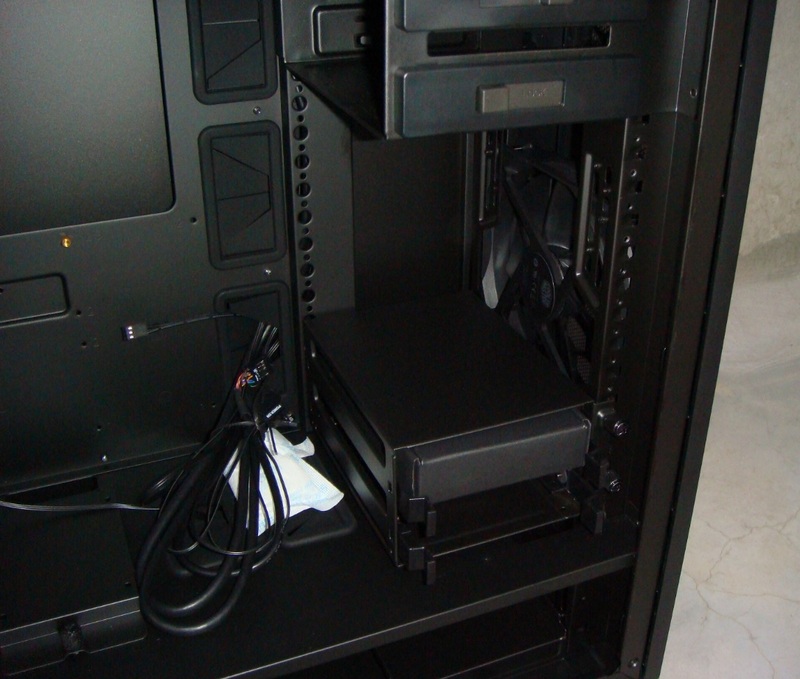 Further down there are seven expansion slots and a PSU mounting plate with thumb screws at the bottom. 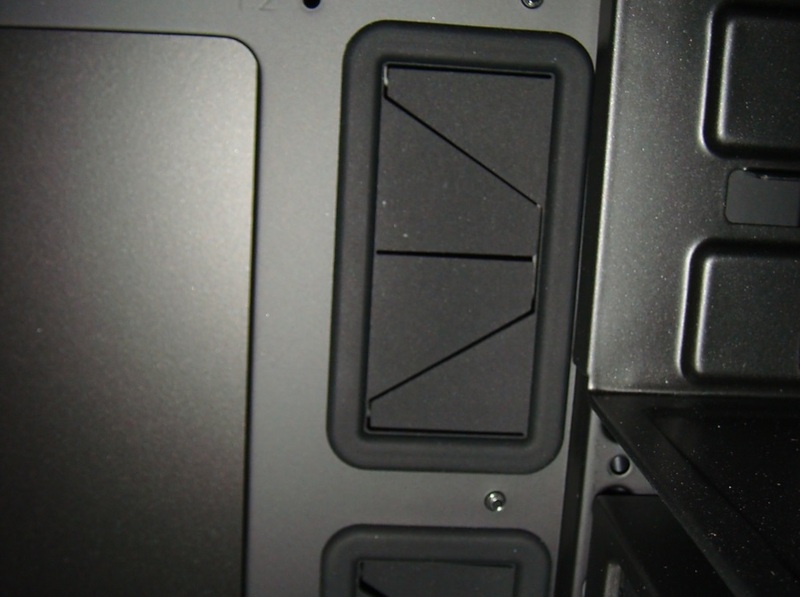 Both side panels are secured with thumb screws and have a nice handles for easy removal. 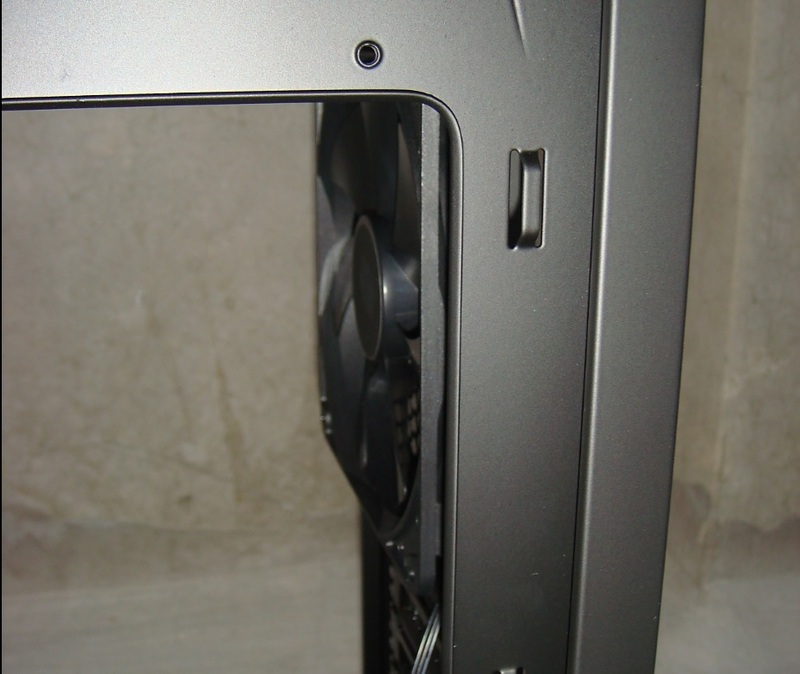 Detailed inside view of the case. 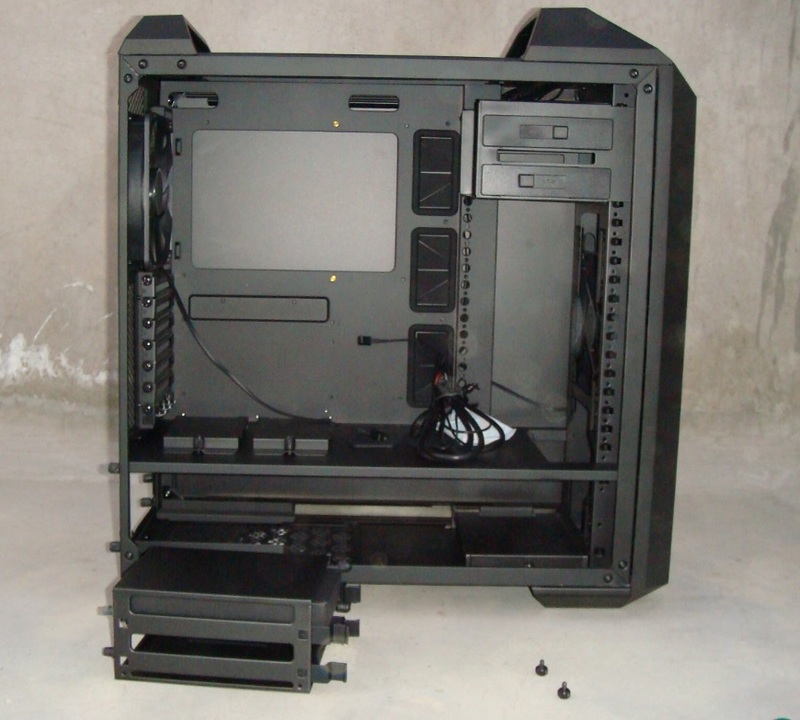 Removing the side panel reveals an entirely black painted interior with two chamber design for Motherboard and PSU, with proper cable management options with rubber grommets and two HDD drives bay. 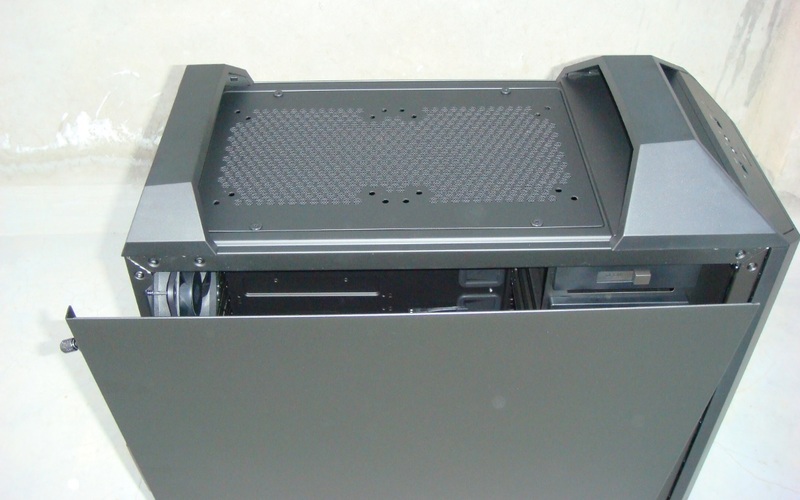 Interior is well designed with big cut-out on motherboard tray for CPU cooler installation with pre-installed motherboard stand-offs. 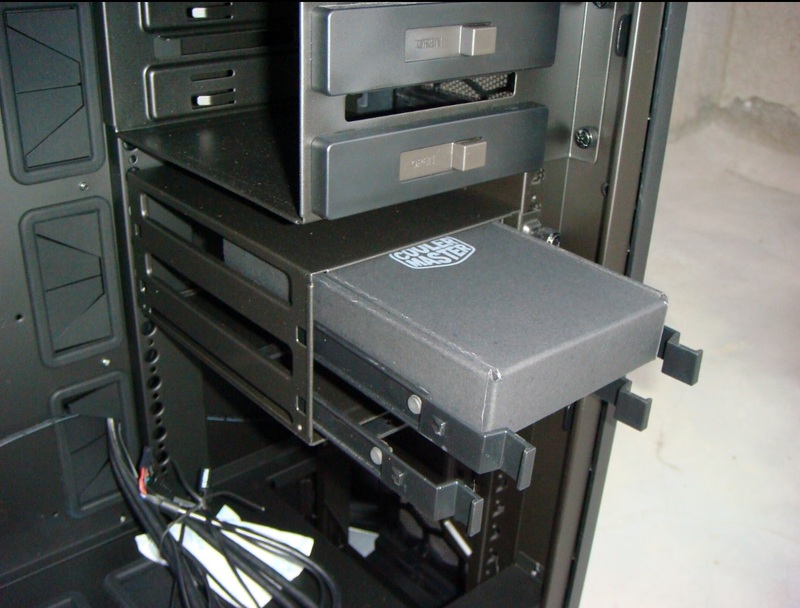 Tool-free 5.25” drive installation option alongwith lot of HDD and SSD mounting pockets. 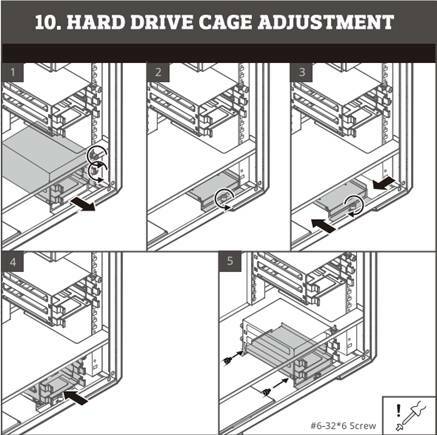 HDD cage can be moved up or down according to your need or can add more cages as accessory for extra storage solution. 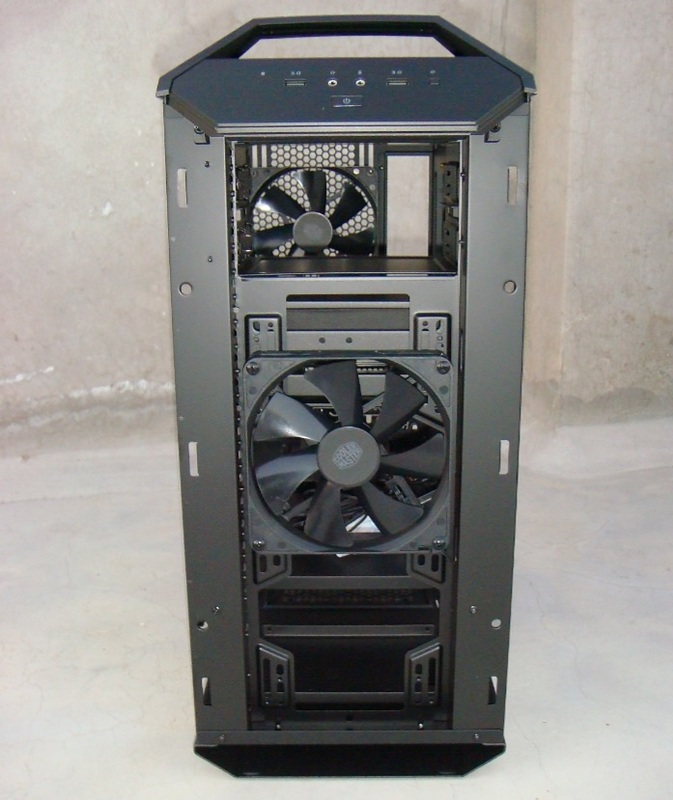 At front we have lot of space for installation of 240 or 280mm radiator for liquid cooling solutions. 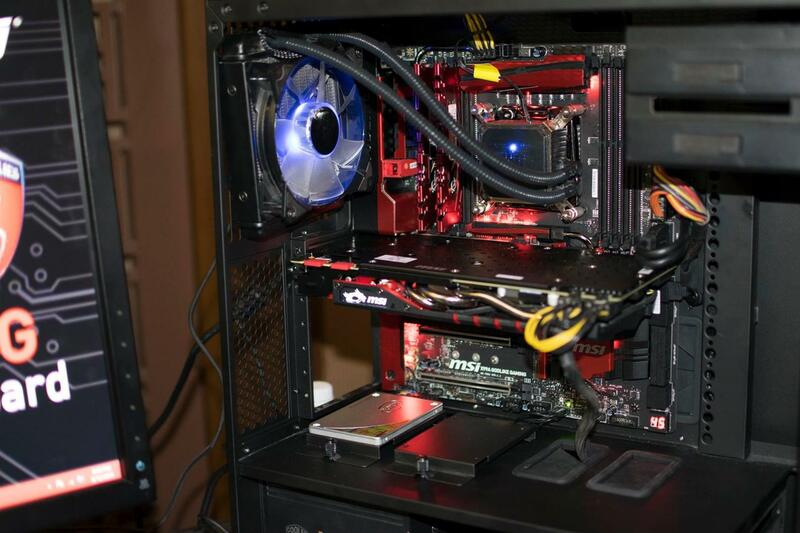 At the back there’s lot of space for hiding cables. 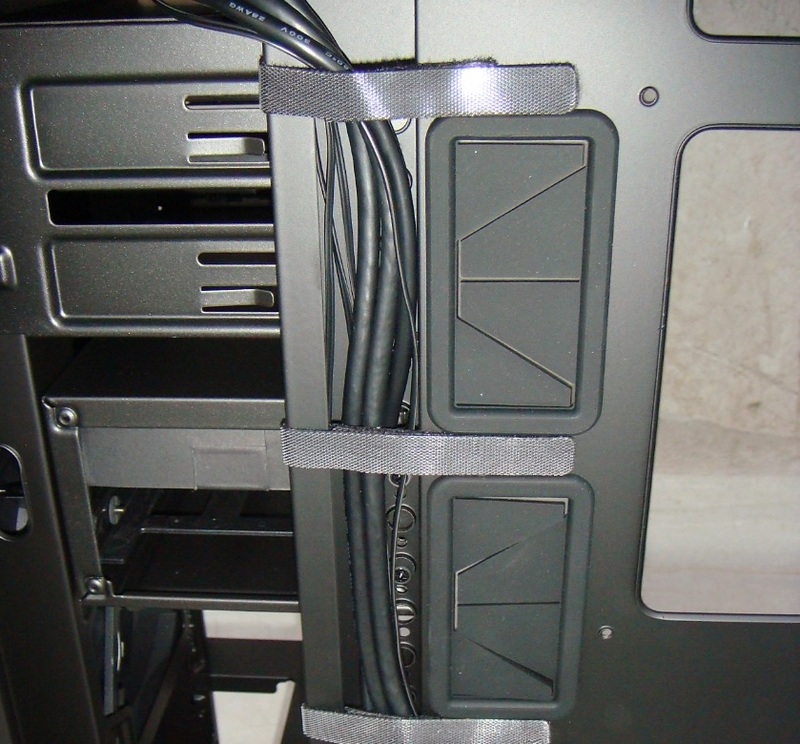 With lot of cable tie points and Velcro strips of proper cable management. 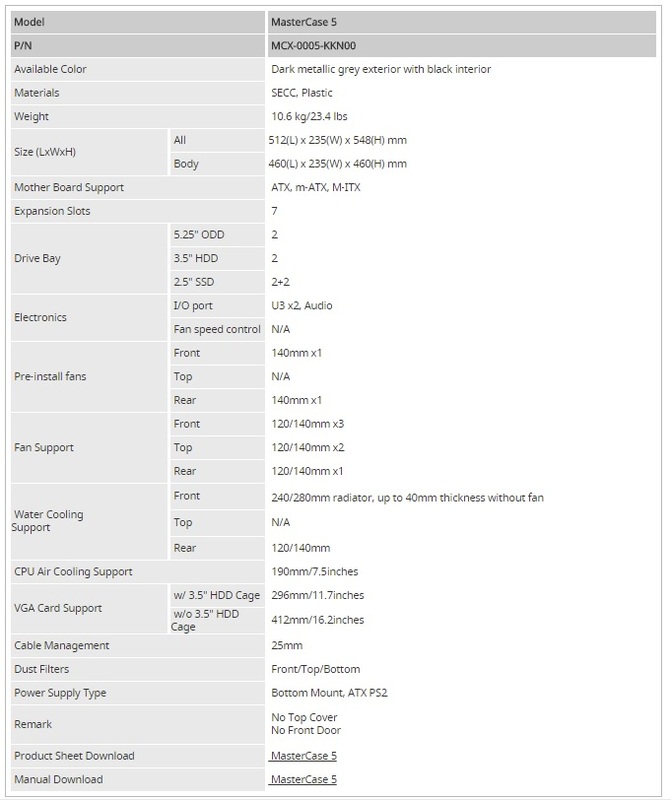 Not good top two fans mounting plate design. 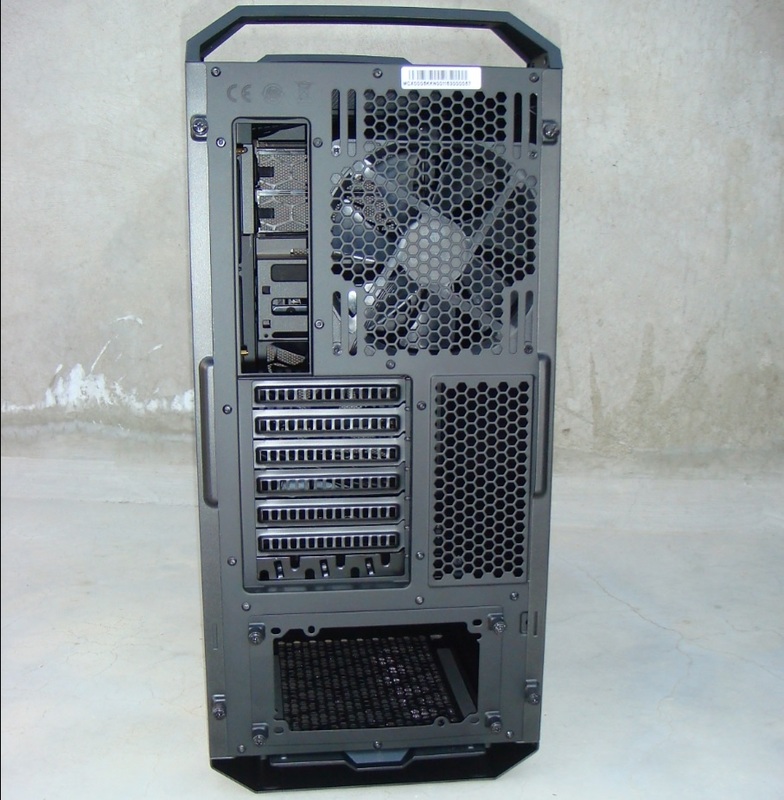 We are impressed with the solid build quality, modular interior and high storage handling capacity for SSDs out of the box and with addition accessory for HDD too. 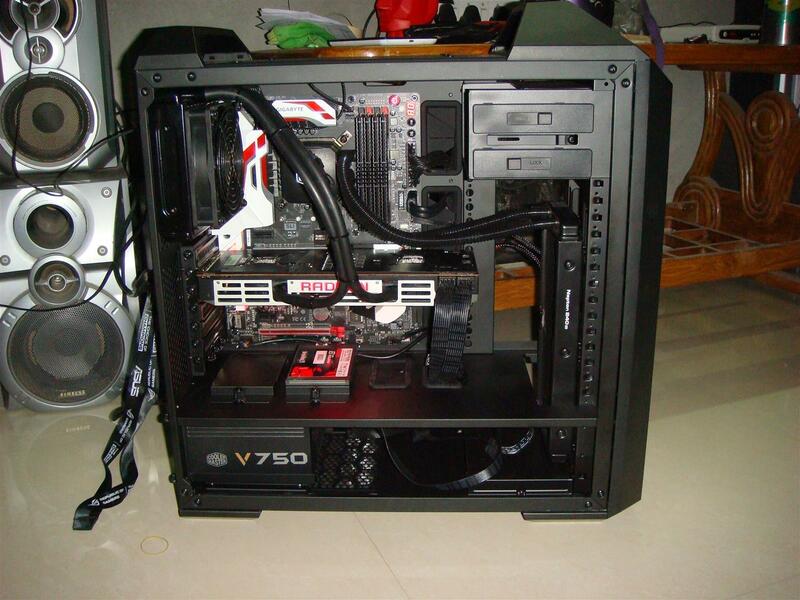 Even though case supports AIO liquid cooling solutions, but in order to install a 240mm AIO solution in front of the case one have to re-arrange the HDD Case as following pic or for top mounting have to buy another module. 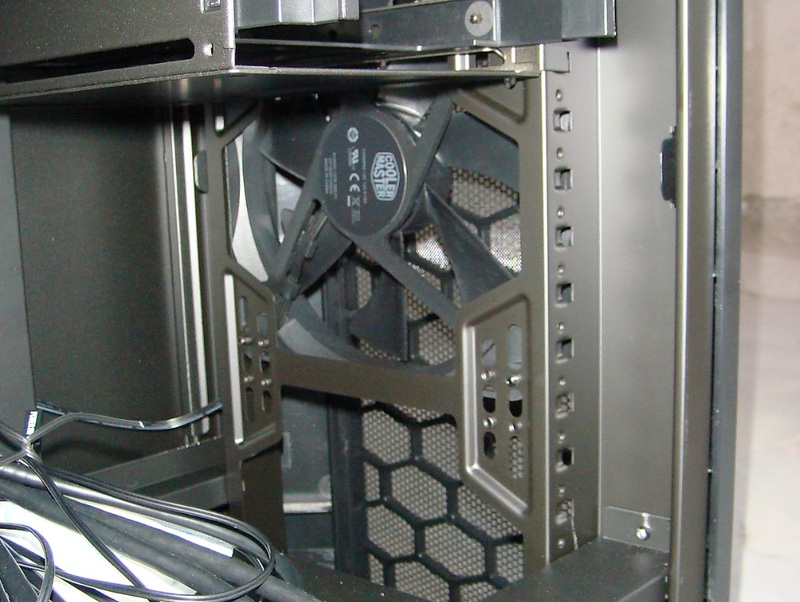 Second the top two fans mounting plate looks like a last moment patch-work as compared to whole case design. 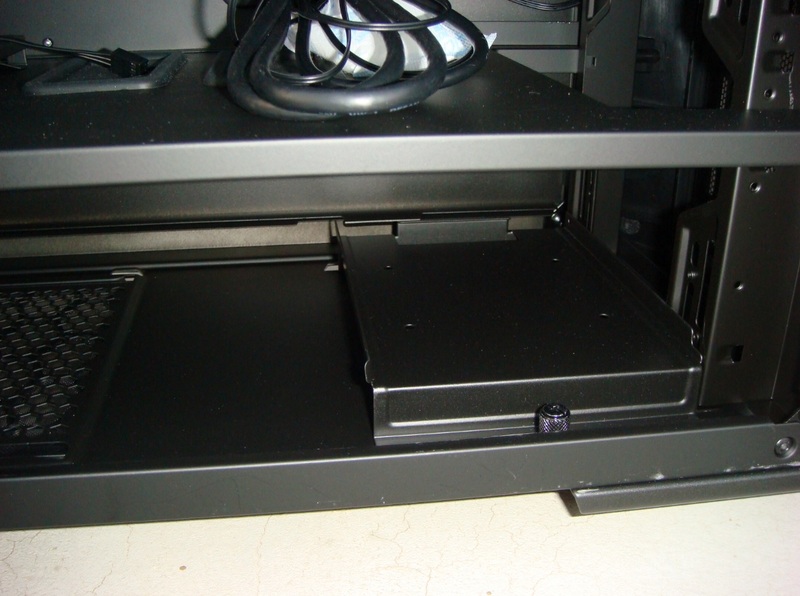 Just a simple plate screwed on top of the case. 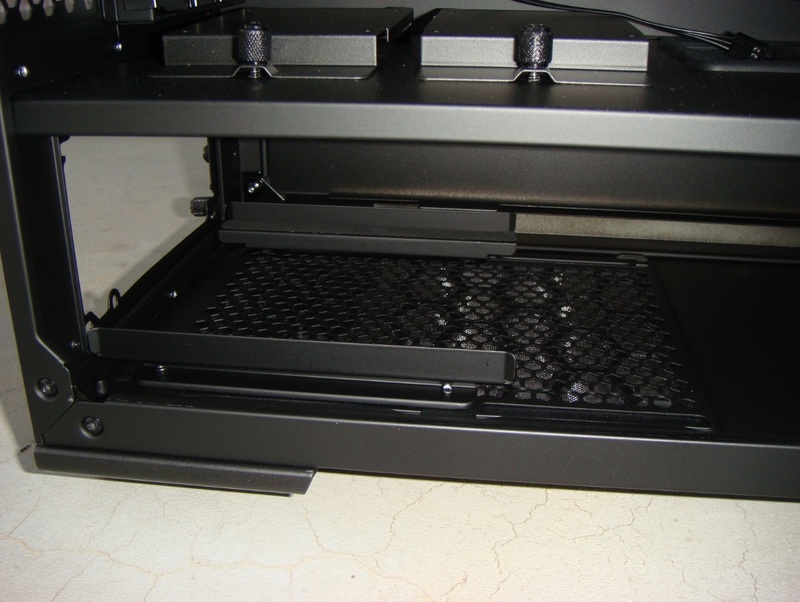 And to clean the top filter you have to un- screw whole plate and fans as well. 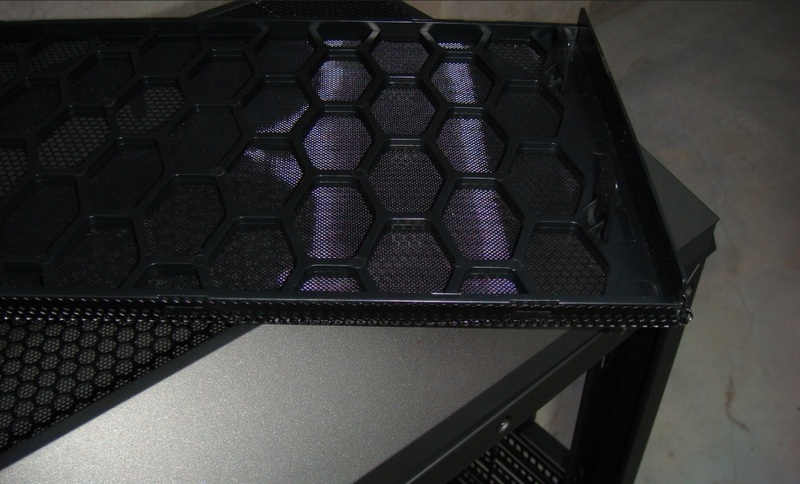 So easy dust filter removal concept of the whole case lost here. 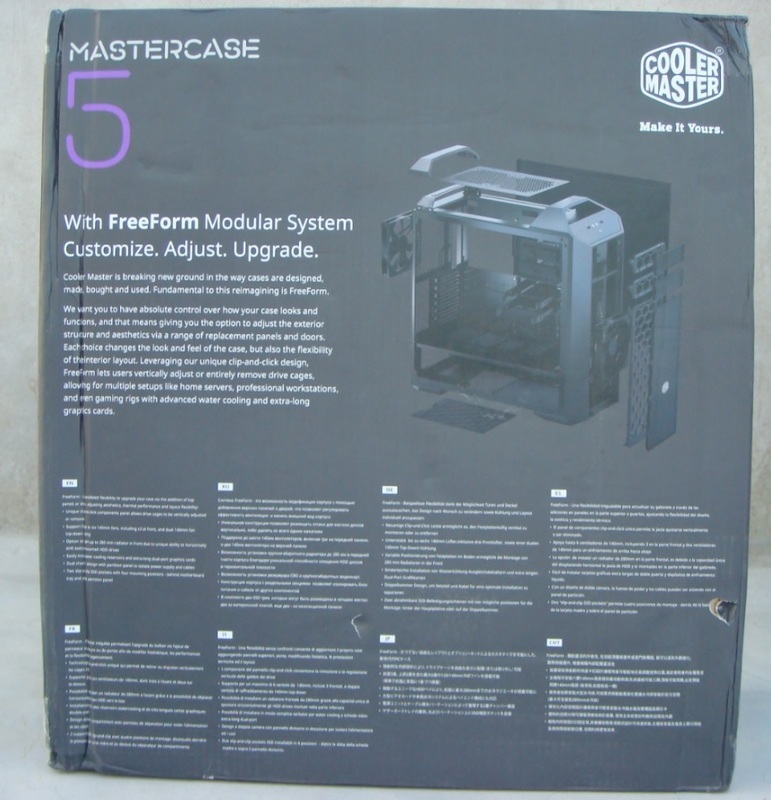 The flexible FreeForm™ Modular System is a great concept Cooler Master has came up within their MASTERCASE 5 and MASTERCASE Pro 5 cases, certainly there is nothing like this out in the market right now. 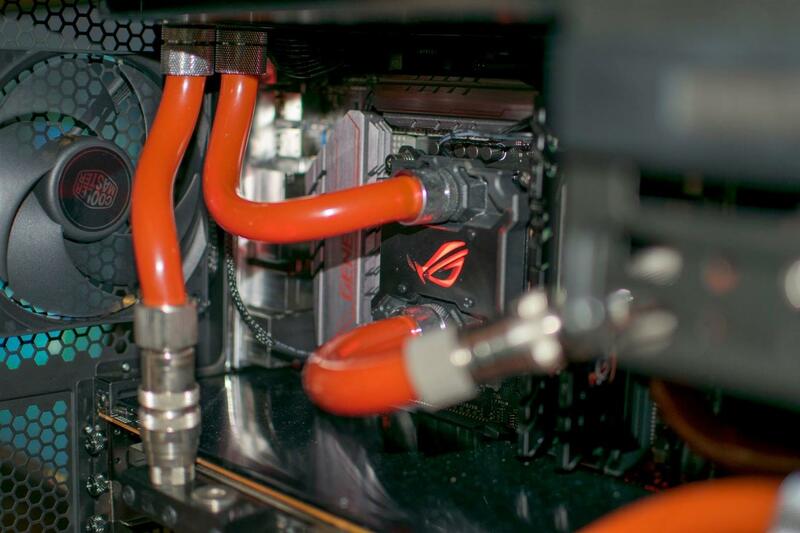 It’s not a huge innovation in the industry as a whole, but definitely gives a great platform for PC modders and custom builders to start with. 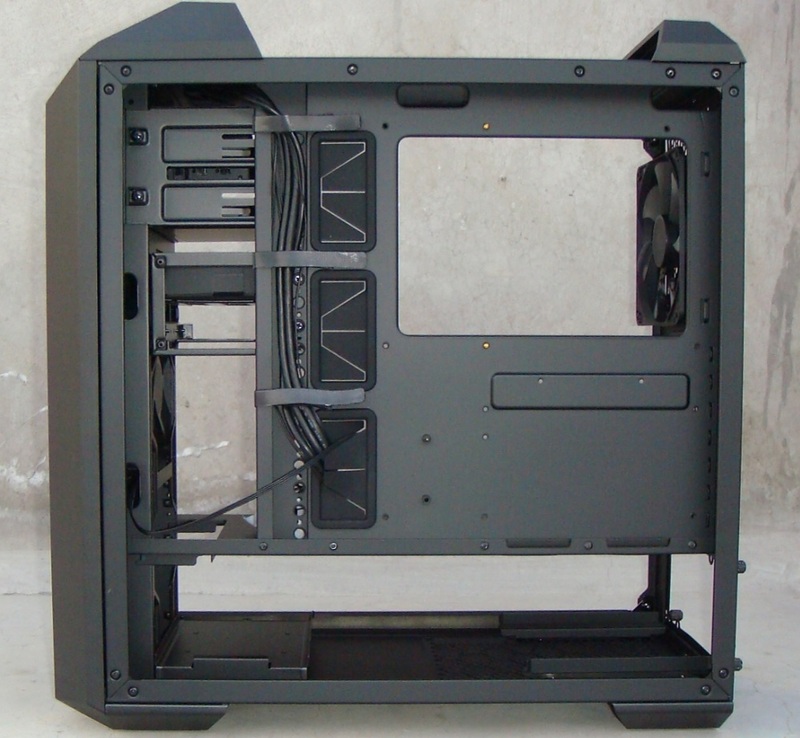 Being a modder myself I will be definitely doing my next system build with MASTERCASE 5. 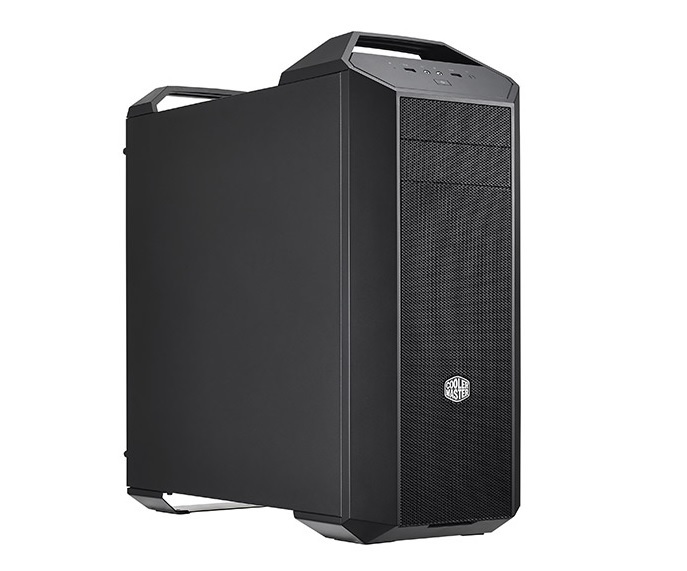 Finally, Cooler Master has added a great modular dynamics to a PC build experience with their new MASTERCASE 5 case, making it real easy to customize your build according to your need and, worthy of our PC TeK REVIEWS Choice Award.